John Michael Scalzi II was born May 10, 1969, and grew up in Southern California, going to school in Claremont. 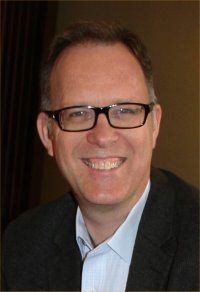 He graduated from the Webb School in 1987 and attended the University of Chicago, where he became editor-in-chief of the Chicago Maroon and graduated with a philosophy degree in 1991. He moved back to California, where he became the film critic and later a columnist for the Fresno Bee. In 1996 he relocated to Washington DC to work for AOL as an in-house editor. In 1998 he became a full-time freelance writer, doing work for corporate clients in addition to reviewing and writing fiction. Scalzi is also a prominent blogger, with popular personal site Whatever, at whatever.scalzi.com. Scalzi’s first SF novel was Agent to the Stars, posted on his website as ‘‘shareware’’ in 1999 (and published in print in 2005). Second novel Old Man’s War appeared on his website in 2002, where it was read by editor Patrick Nielsen Hayden, who subsequently purchased it for Tor. 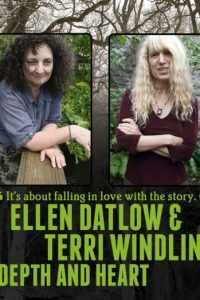 The novel appeared in print in 2005 and was a Hugo Award finalist. Other novels set in the same universe include The Ghost Brigades (2006), The Lost Colony (2007), Hugo and Norton Award finalist Zoe’s Tale (2008), The Human Division (2013), and The End of All Things (2015), plus assorted stories and chapbooks. His humorous SF novel Redshirts (2012) won a Hugo Award. Other novels include The Android’s Dream (2006); Fuzzy Nation (2011), an authorized ‘‘reboot’’ of H. Beam Piper’s classic Little Fuzzy (1962); and Campbell Memorial Award finalist Lock In (2015). 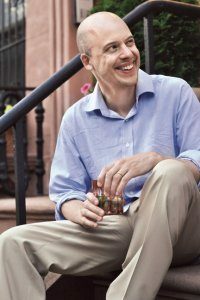 He recently signed a 13-book contract with Tor (for ten adult novels and three YA), beginning with The Collapsing Empire (2017), first in the Interdependency series. Though not a prolific story writer, Scalzi has published a few short pieces, notably standalone novelette The Sagan Diary (2007) set in the Old Man’s War Universe; Sidewise Award nominee ‘‘Missives from Possible Futures #1: Alternate History Search Results’’ (2008); dark science fantasy novella The God Engines (2009), a Hugo and Nebula Award finalist; Hugo nominee ‘‘Shadow War of the Night Dragons: Book One: The Dead City: Prologue’’ (2012); a novella in the Lock In universe, Unlocked: An Oral History of Haden’s Syndrome (2014); and audio original novella The Dispatcher (2016). Scalzi edited an issue of Subterranean magazine dedicated to ‘‘science fiction clichés’’ in 2006 and Hugo-nominated shared-world anthology METAtropolis in 2008. 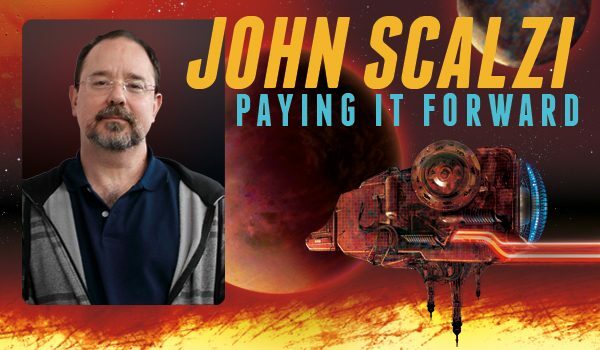 His non-fiction includes The Rough Guide to Money Online (2000), The Rough Guide to the Universe (2003), The Rough Guide to Sci-Fi Movies (2005), and 24 Frames Into the Future: Scalzi on Science Fiction Film (2012). He also wrote the humorous Book of the Dumb series, beginning in 2003. Some of his blog posts have been compiled in You’re Not Fooling Anyone When You Take Your Laptop to a Coffee Shop; Scalzi on Writing (2007), Hugo Award winner Your Hate Mail Will Be Graded: Selected Writing, 1998-2008 (2008), and the forthcoming Don’t Live For Your Obituary. Scalzi was nominated for the Best Fan Writer Hugo Awards in 2007 and 2008, winning the latter. He also won the Campbell Award for Best New Writer in 2006. Scalzi was elected president of SFWA in 2010, and served three terms, stepping down in 2013. He lives in Bradford OH with his wife, Kristine Blauser Scalzi (married 1995), and their daughter Athena. Interview design by Francesca Myman; author photo by Arley Sorg. Read the complete interview in the August 2017 issue of Locus Magazine. ‘‘I did read a lot of science fiction when I was a kid. In some ways, they like to say that the golden age of science fiction is 13, and to that extent I think there’s some validity to that snarky comment, that a lot of science fiction when you’re 13, 14, right in that area, things just expand your brain and it’s something you want to read a lot of. The funny thing is that when I wrote my first novel, Agent to the Stars, I flipped a coin between writing a science fiction novel and a mystery novel. If it had landed tails instead of heads I would’ve had a completely different career. Who knows how that would have worked. I read science fiction, mystery, and contemporary fiction, so I was widely read – though science fiction, along with mystery, was really the genre I read the most and was most comfortable with. Even as a kid, those two genres were the ones that felt like home. And non-fiction – I read a lot of journalism and columns and stuff like that. I was a journalist and a columnist before I was a novelist. He can start by paying more attention to the production of his books in Audio. Lately his titles have been exclusively narrated by Wil Wheaton. Wheaton is a terrible narrator. Scalzi’s audio titles deserve better. I won’t touch anything narrated by Wheaton, and many other Audible and Amazon reviewers have echoed this sentiment.